Get in touch with your arty side on Saga’s five-night Edinburgh Fringe at Sea sailing in summer 2018. The world’s largest arts festival will be in full swing with street performances, comedy, dance, opera and theatre in Scotland’s vibrant capital city. 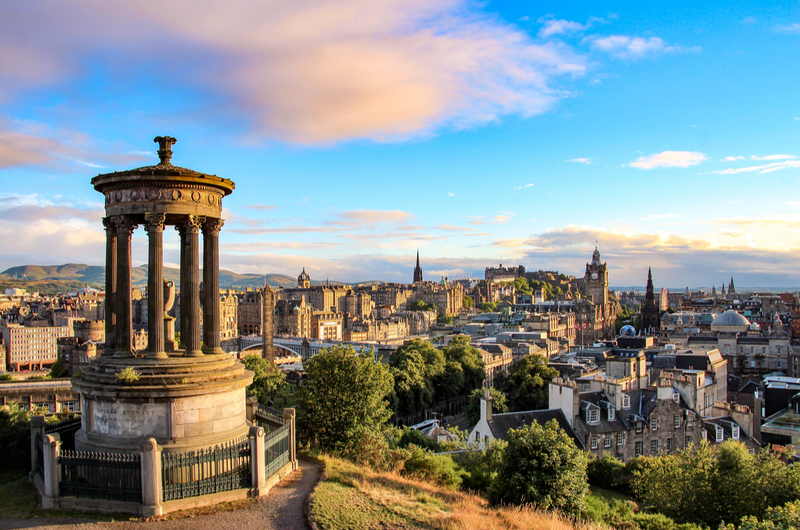 Saga Sapphire moors overnight in Leith, so guests can immerse themselves in the atmosphere of the Edinburgh Fringe where many famous comedians started their careers, including Rowan Atkinson, Billy Connolly, Ben Elton and Saga Magazine’s own agony aunt Jo Brand. Guests can also join an optional tour to celebrate the last night of the Royal Edinburgh Military Tattoo and watch the fireworks and light show. The cruise also includes an overnight call to Newcastle so art aficionados can opt for a city tour to see the Sage Gateshead performing arts venue designed by Norman Foster’s architectural team and visit the nearby Baltic Flour Mill, which has been converted into one of the largest modern art centres outside London. Those who want to go further afield can choose from optional excursions to Alnwick Castle, Hadrian’s Wall or Cragside gardens. Back on board, guests can enjoy first-class service, fine dining and plenty of entertainment as well as relaxing by the seaside-themed Beach Club pool during this truly best of British cruise! Five nights from £976 departing August 22, 2018. Price includes UK travel package to and from Dover, all meals and entertainment, choice of table wines at lunch and dinner, afternoon tea, 24-hour room service, welcome cocktail party, unlimited tea and coffee in selected venues, free Wi-Fi, all on-board gratuities, porterage, free shuttle bus to nearest town centre (whenever possible and when the ship is berthed more than 500 yards away), optional travel insurance and additional cancellation rights, or a discount if passenger has own insurance.